The °Kolorlux MBFR lamps from Thorn Lighting offer all the benefits of standard mercury discharge lamps, but the internal reflector offers two great advantages. Firstly, the lamps provide good optical control but without the requirement for expensive reflector systems. Whereas competitive lamps traditionally employed a diffuse front window, it is left clear in the Thorn design. This delivers much better optical control with a considerably tighter beam angle, but there is some lack of colour uniformity throughout the illuminated area. 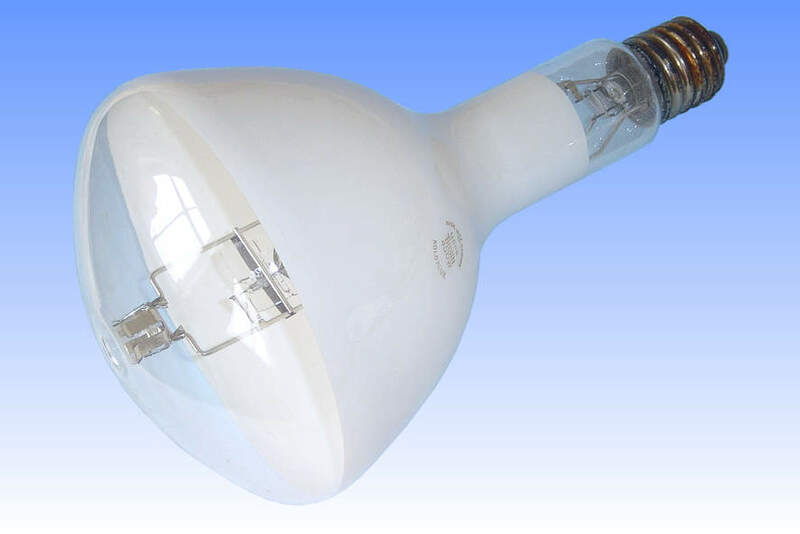 However when lamps are used in quantity, as is typically the case with large-scale industrial illumination, there is some overlap between the beams of adjacent lamps which partly cancels this effect. The second principal advantage of the reflector-style lamps is that optical performance is not restricted by the build-up of dirt or corrosion on reflecting surfaces, as is the case with conventional luminaires. With each new lamp comes a new optical system and there is, of course, no need for expensive cleaning maintenance of the luminaire on a regular basis. The use of MBFR therefore reduces both capital installation costs, and maintenance / cleaning costs in all industrial applications which can accept the broader polar intensity distribution of this lamp over a high bay luminaire. Technically, the construction of MBFR is similar to the standard MBF design. It employs the same °Kolorlux yttrium vanadate phosphors as standard lamps, with an undercoat of titanium dioxide before the phosphor layer acting as a reflective surface which also transmits some upward light.